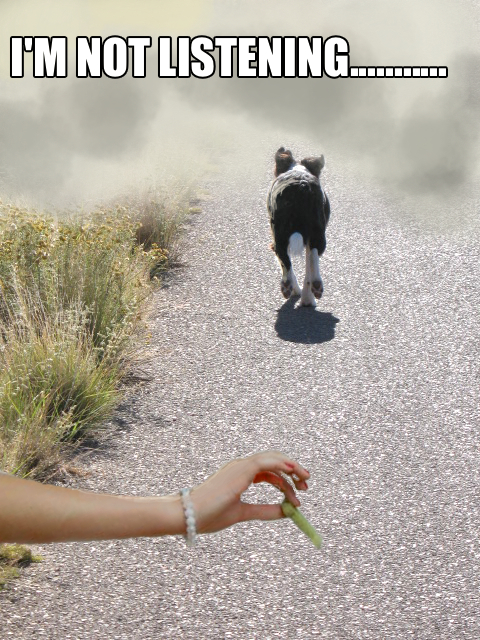 Walk With Me Canine | Explanations, rants and raves for dog owners wanting to know more..
Dam that cooking oil, You will always need it! Good morning readers. Ahh the sun is shining.. the birds are singing, you climb out of bed smiling at the alarm that has not yet gone off. You look over to your empty dog bed not registering that your dog is not there. Rubbing your eyes, you slump down the stairs and flick the kettle on. “Whats that racket” you say! Stood by the door you see your dog barking at what looks to be like the door frame. You open the door and head back to your whistling kettle to continue that peaceful cup of morning tea. If thats not the way your morning plans out.. your not alone. The door was not what the dog was barking at and in fact now he is fixated on birds, cars, people, oh and yep… there goes the next door neighbours dog too. So here we are today with one of the most common problems a dog owner can encounter, and I do not blame you when you don’t know what to do next. There are plenty of options but what shall I do?. Walk right into a pet shop and I bet you the first thing they pass you is a pet corrector. “just blast this loud noise when they bark and they will stop” they say with confidence which fills you with relief. What reasons do you have not to try this? A pet corrector is a training device, but there is one big fall out for devices. No, I’m not going to tell you that this device is harming your dog as that would be a lie, but the major fall out is… you will always need to use it. Say I told you that when your cooking bacon, there is a particular oil you can use that would stop it from spitting at you. This oil will only work if you line the pan with it before you cook. This would mean that you would always need it. What if I was to then tell you; that you could change the way you cook, which would then stop the oil from spitting at you anyway. Once you had got the hang of the new way of cooking, you will never get burnt again. This is the best way to describe a training device. If you haven’t already clicked.. you will always need it and you can never train without it. A loud noise from a pet corrector will startle the dog for a second, and maybe make the dog think twice about doing what he was about to do, but then what happens next time.. out comes the pet corrector again. If you are needing to continue to use it… then its not really working is it? If you were to work with your dog to find out A) what they were barking at and B) if they want to get at that specific thing or just want your attention, you can then work to change the dogs behaviour and way of thinking. A dog can create a habit out of behaviours even if there is no point to them anymore. So to break that cycle we must work closely with them to understand the reason. There are no quick fixes, and a quick fix is not necessarily a good thing, unless you want to go back over and try to fix it again in a few months time! So put that pet corrector down, grab a few cut up bits of chicken or hot dog, and start to reintroduce the world to your dog but without the barking. Start slowly by taking him away from the situation and then reintroducing the moment your dog has become calm. If you find that they bark again straight away, you do not need to say a word, just walk them out of the room, wait until they are calm and then reintroduce them again. Praise the moment they are calm when facing with the thing that set them off when you started. Praise is the key! Well that, and patience…. I could go on and on about many methods to help the barking, but that will have to be a separate post. I hope you have enjoyed my rants about training devices… and maybe i brought light to the topic. Enjoy and Happy Training fluffy owners! Treat training is not bribery…Here’s why. I can completely understand why it would be a worry for some dog owners and to be completely honest, you could easily come to a conclusion that you do not want to “bribe” your dog. Just to clear it up. Treat training is a way to positively reinforce a behaviour you would like to happen again. However, to some confusion, this is not the only reinforcements you have to use. Some dogs would much prefer a toy than treats, or some may be happy with the praise from your voice. You work to figure out what works best for your dog and use it. I know… but why should my dog only obey for a treat? Shouldn’t my dog obey me because it wants to please me? The answer to this question for me is…in the middle. Your dog will always want to please you, but you have to ask yourself; am I asking my dog to obey a command that is unnatural and awkward? We go to work day in, day out… And we get paid for doing so. Would you call being paid…bribery? I certainly don’t think about it this way. We just would not have an incentive to do so if we didn’t get paid. If we are asking something of our dogs, we need to remember that our dog would not naturally jump through hoops, give you it’s paw or roll over on command, so by asking them to do so, we need to give them an incentive to stay in this weird position. If something is working to make your dog happy and you are gaining the desired behaviour then it really does not matter if you need to use treats. It will just give them that little bit of incentive to carry on. If needed, you can slowly use less treats by “Jackpotting”. This means the dog will continue to perform the task not knowing when the next treat will be dropped. When training using this method, you want to give a treat to the better performed behaviours. For example if you ask your dog to sit, but he sits after many times of repeating, you may only praise with your voice, but if he sits as quick as you would like him too, he then gets the treat. This encourages your dog to perform better next time. Figure out what works best for your dog and use that to your advantage. If your dog really likes a tug of war game, then use that… As long as it is reinforcing enough to perform your desired behaviour, then your flying. Always question yourself, always look at what your asking of your dog and continue to learn. Once you learn what motivates your dog, learn how much you need and how long you need in order for him to complete the tasks. Always remember that your dog is following you, work as a team and enjoy yourselves. Makes me miss my old boy Marley 😦 good ole bullys! 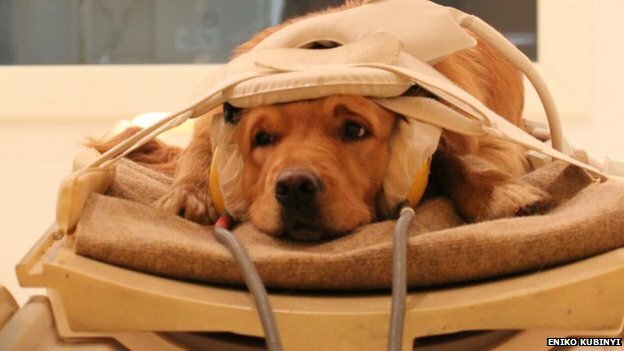 A paper published confirms that dogs have and use the same part of the brain humans do to understand speech, this is the first proof that dogs do understand what we are on about. This comes as no surprise to any dog owner, we all know they usually know what we are on about when we tell them to do something, with the condition that it something they have learned to understand such as a the word “walk” or our general tone when talking to them. That smug look they make as they walk away, as if they have not heard your call, wagging their tail with their head held high. “Are they even listening?”. If this sounds familiar, you are not alone. Throughout my studies and my experience, I have come across so many situations when even I, question my own belief, but thankfully, there is an explanation. That treat that is drooping down in front of him wafting of doggy goodness, has unfortunately met its match. It seems that something else is much more interesting. If the treat had a mind of its own, its almost like a slow motion scene involving the treat calling out “ wilson” “wilson”.. as the dog ponders off in the distance. Whether it be a momentary relapse or something that your dog has not come across before, his mind is too far gone and all training forgotten. Now I know what most of us automatically do, or used to do.. we get louder and more angry. In a dogs mind, we must remember that this is not engaging or fun and the dog will definitely not want to return if this is what they are hearing. We need to take a step back and remember…they are not robots, they are dogs, with fall backs and mistakes just like us. Sometimes we may need to reteach the command that is being used, perhaps it has not been properly reinforced. In this case why are we not using what our dog truly loves?. I mean every dog is pretty much food orientated but some dogs may like running, playing or even just being let off the lead can be a big reinforcement to something that has been done well. So lets take the example that your dog is off the lead walking casually beside you, and suddenly he runs too far ahead. Is there a trigger or a behaviour that you can watch for? Could you have interrupted earlier if you tried? What about if you ran off in the other direction instead of running after him, whilst calling his name…mmm I wonder. Try restarting 10 minutes a day training sessions to reintroduce a new command and an even better reinforcement, and then move this training and try again in an area with a few more distractions. This may be a way to start improving his response. If a dog has just recently eaten, this can be a massive contribution to whether he will listen to you and be responsive. Maybe he is bored of the same treat you have been using since he was a puppy, or maybe he found something nicer in the cupboards that you were not aware of. With dogs, its all about pre-empting what is going to happen and why your desired behaviour did not happen. We can not predict everything, but the more we watch our dogs, the more we will learn and you will be surprised how many different signals are shown before a behaviour. So to sum up and hopefully put a smile on your face, your dog is not choosing to ignore your commands, and unfortunately something better is just in your way. We need to rewind, find a way to reinforce your re-call, or what ever behaviour you are asking for. Remember that using something that they love will only build a much stronger bond with your dog, shouting and getting angry will only distance your bond. Don’t be fooled that a quick method works the best, it is all about setting your dog up for success, and making sure there will be as little fall outs as possible. Hope I given you something to think about, or if not just made you chuckle, Happy Training, Dog Lovers! You can not Reinforce Fear, But you can encourage it.